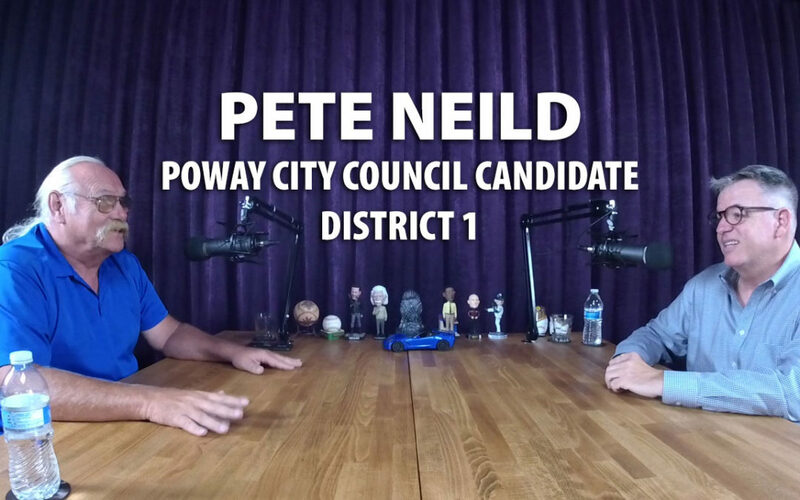 In-depth conversation with 38-year Poway resident and city council candidate, Pete Neild. Discussion includes Pete’s early days in South Poway and later on Candy Cane Lane. We explored Pete’s Poway history, family, career in the Navy and as a scientist in the private sector. We explored some of Pete’s challenges with city hall when attempting to get permits to build or manage his own property. Pete was an early concerned citizen regarding the Poway Business Park and successfully influenced the city to set the buildings back so they were almost entirely out of view. Pete also shared stories of his Corvette he has affectionately named Calypso. We explored Pete’s passion with sports cars, drives along Highway 1, attending races at Laguna Seca and a memorable Route 66 road trip. Recorded September 17, 2018.